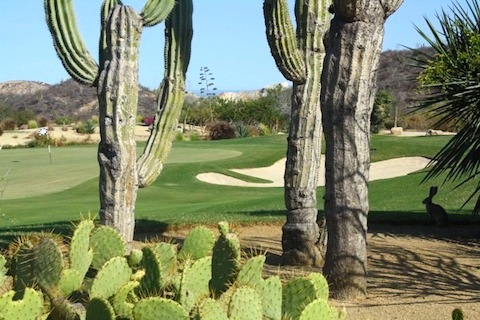 A rabbit looks over the green at Palmilla Golf Club’s Mountain Course. I got the chance to drive along this fantastic course designed by Jack Nicklaus and take photos. There was something incredibly magical about it; mountains loomed in the distance, ocean was visible from every hole and the holes seemed to carve themselves into the desert terrain. My favorite part? All of the desert chipmunks, rabbits and other animals that we saw along the way.